This a question I believe we as teachers should all be asking our pupils. It came up in conversation between myself and my friend and teaching colleague Rebecca, and we agreed that in future all students should be asked to consider this question. Why? 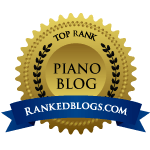 Because it is all too easy for teachers to become complacent… Continue reading Why do you want to take a piano exam?